While sources said the engine of the aircraft stalled mid-air with a "loud bang", an IndiGo spokesperson said in a statement that its crew took note of a "technical caution" and decided to return the flight to Chennai. 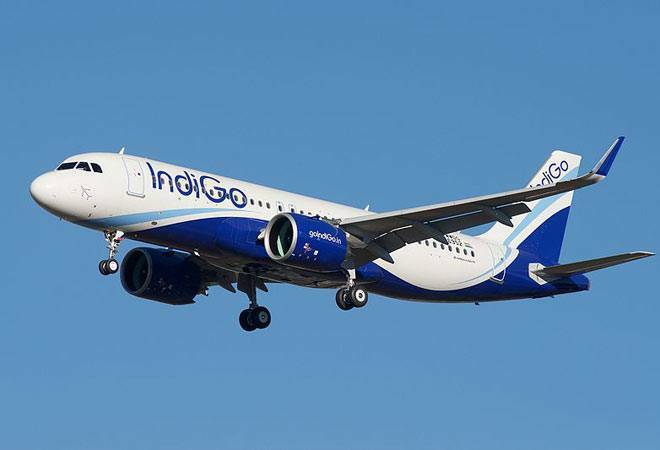 An IndiGo Airbus A320neo plane suffered a mid-air engine failure with a "loud bang" on Thursday and the civil aviation ministry has taken serious note of the incident, sources said. The latest incident involving another Pratt & Whitney engine happened when the aircraft was flying to Kolkata from Chennai on January 3. The plane returned mid-way to Chennai and has been grounded there since then due to damaged engine blades, they said. "Ministry has taken serious note (of the incident) and we will review it on Tuesday," Civil Aviation Secretary R N Choubey said in response to a PTI query. He was asked whether the ministry will direct the aircraft maker Airbus and US-based engine manufacturer Pratt & Whitney to stop deliveries unless all issues are fixed. "One of the P&W engines of IndiGo neo aircraft operating on Chennai-Kolkata route on January 3 stalled mid-air followed by a loud bang and sparks from it and smoke, leading to heavy vibration," a source said. The incident forced the A320neo aircraft to return to Chennai under emergency conditions, he added. The number of people on board the flight could not be ascertained. "This was for the first time that that an A320neo faced multiple problems -- smoke, heavy vibration, loud bang and engine stalled -- in one single flight," the source added. IndiGo, which is facing such issues in the A320neo planes powered by P&W engines since their induction in the fleet in 2016 and has received compensation from both Airbus and the engine maker for each grounding, said the aircraft returned to Chennai due to "technical caution" noted by the crew. "An IndiGo flight 6E 923 (Neo) operating Chennai-Kolkata route on January 3 returned to Chennai after take-off due to a technical caution noted by the crew. "The crew followed the normal operating procedures and asked for a priority landing. There was no engine shutdown and no emergency landing was declared as per the report," IndiGo said in a statement. Meanwhile, the government's apex aircraft investigation body AAIB has rushed a team to Chennai to assess the incident and take a call on the probe. "As per settled practice, we have sent a team. We are awaiting details," a senior official of the Aircraft Accident Investigation Bureau (AAIB) told PTI. The bureau, which investigates serious incidents and accidents involving Indian registered aircraft, is already probing IndiGo Jaipur-Kolkta flight smoke incident on December 10. Queries sent to Pratt & Whitney remained unanswered. Airbus evaded a detailed response to PTI queries and only said that it was "working closely with the engine maker to minimise disruptions". In India, two budget carriers IndiGo and GoAir operate P&W engine-powered Airbus A320 planes, while Air India and Vistara, which also operate these latest single-aisle planes, have CFM engines. However, the P&W engines-run aircraft have been facing glitches every now and then since their induction in the fleet by the two operators in 2016, with several instances of mid-air engine shutdowns. However, the engine maker has failed to come up with any tangible solution to fix these issues so far despite frequent grounding of these planes and passengers safety at risk.